Content marketing is a wonderful way to drive traffic to your website. So, why does it work? Because content marketing educates readers before they visit your main sales page and increases your conversions. Article or content marketing positions you as an authority a trusted voice in the vast wilderness of information overload and trust leads to increase your sales. This method of marketing gives before it expects to receive. Your readers are free to take an action and to learn more. Your readers are self-selecting to move forward and that is the most powerful thing in the world of marketing. But there are challenges in the content marketing landscape. Google often changes and keeps updating its algorithm and duplicate contents get penalized. A proliferation of non-native language content writers writing cheap content, useless contents and content spinners that spew out the content. The real key to content marketing is to provide high quality original and helpful contents. Some of the names of content marketing have changed and it's important to realize these changes in today's world. Content marketing has taken on these new names: Guest blogging, Guest posting, Syndication and Repurposing of content. These methods really work and they will continue to work for many years to come. Because unlike content spamming these methods provide the lifeblood of the Internet. High-quality original content delivered free with no pressure on the reader to take action. So, here are 5 tips to content marketing and see how they work in your content marketing strategy. Guest posting simply means submitting your contents to blogs that can use your content totally different from content spamming. This is a highly targeted approach that works wonderfully well. Readers can follow a link in your author’s box, resource box, to visit your site. Readers who visit your site can join your list. The list is still the number one priority and will do so in higher numbers than cold visitors. I highly recommend to guest post to the blogs in your niche. This will also give you backlinks to your site and this is one of the most important factors to get higher ranking in search engines like Google, Yahoo or Bing. The power of appearing on a top blog like “Wonder Krish” cannot be overstated. Best of all guest posting is completely free. Syndication means having your content appear on multiple sites. Today many writers are worried about Google's duplicate content penalty. However, Google penalizes low-quality sites that rely on spammy content but, the penalty does not target high-quality original content that appears on multiple sites. If it did, companies that syndicate for a living would be put out of business. Syndication like say mycontents.com has originally begun as a site for resigned publishers to find high-quality content to syndicate. It wasn't until the marketer started hyping up what it could do, that people thought about getting direct traffic from them. Look for places to syndicate, submit your best content and watch as they help you find new and larger audiences to your website than you ever dreamed of before. Blogging is no longer optional for online business. One key to success online is to let people hear your voice and decide if they want to follow you. Nothing does that better than blogging. In today's world, the barriers to blogging have been removed. If you have a hosting account you can have a blog with one click in most cases. Many people say no to content marketing because they don't want to write the content. Then for those people, the solution is repurposing of contents. Repurposing content simply means, taking high-quality content that was created in one format and changing the format to repackage the content and share it in more places. Here are some examples of repurposing content that work well. Break reports of eBooks into contents, write contents from multiple points of view to repurpose ideas, combine contents into reports or eBooks, and transcribe audio and video into a series of contents. There are many ways to do this, of course, the real key is the permission. So, make 100% sure that you have the permission of the person or the owner who created the content before moving ahead. Otherwise repurposing becomes plagiarism and that must be avoided at all costs. There is no more powerful method of marketing online than information marketing. Content marketing is information marketing whether your information marketing takes the form of a blog, a guest post or content on your site or an email follow-up series. Giving out your best information free will help you sell more. Information marketing is also called education marketing. It works because information marketing gives before it expects to receive and helps your readers, prospects self-select to learn more, no forcing them to opt-in to learn more creates better customers because they are educated about the product before they actually buy. So, writing articles and contents, you don't have to pay other costs and once you create a content, it can work for you for years to come, positions you as an authority and creates trust, opens the door to work with top sellers in your field. 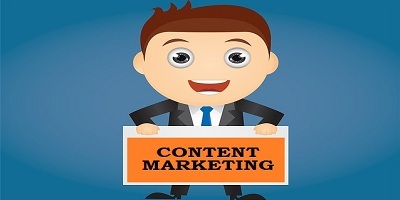 Nice and helpful tips on content marketing Krish.